1. 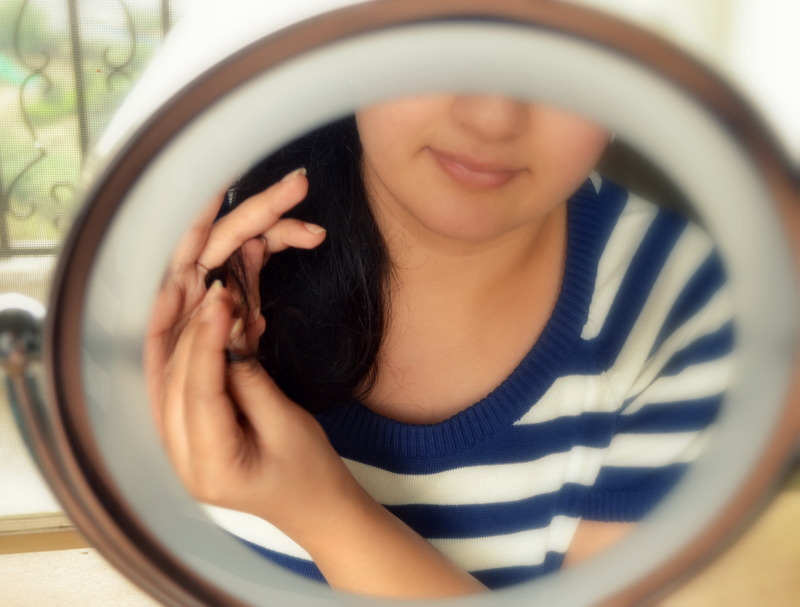 Tame fly-away’s – Have frizzy hair? Is your hair behaving strangely in the winter months? Rub a tad bit of balm on the palm and rub on the ends (tips) of the hair. Notice how well they behave. 2. Softener for cuticles – Balms containing super-moisturizing ingredients like Shea butter and coconut oil are perfect to use on cuticle. Dab a small amount of lip balm onto them and massage with your fingers the next time you notice cuticles looking dry and cracked… Your nails will thank you! 3. 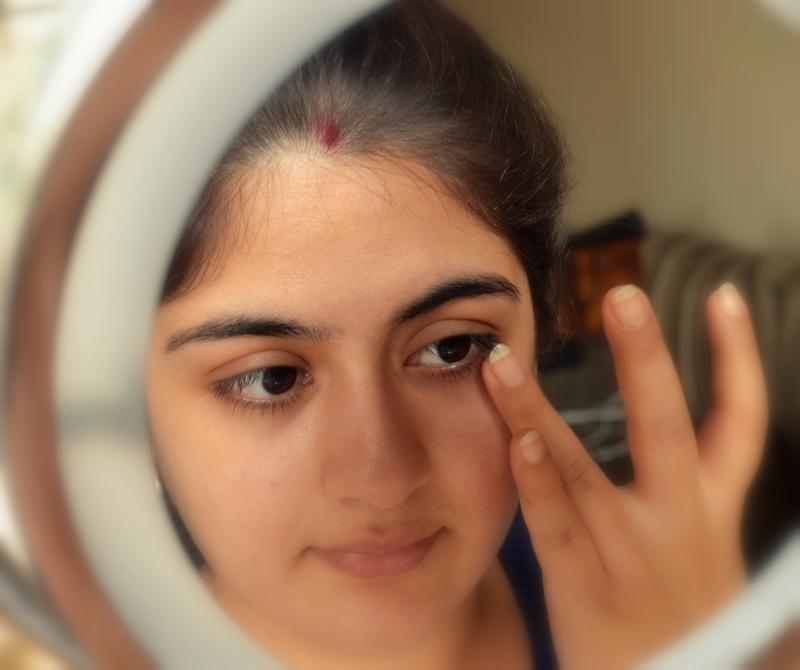 Under eye cream – Had a busy night and can’t find the eye cream? Dabble a bit of lip balm under the eyes. It soothes the area as well as moisturizes. Bye bye puffy eyes! 4. On joints – We all detest dry, scaly skin, but surprisingly, lip balm can save the day for more than just the lips. Rub onto knuckles, elbows, knees and feet. Just make sure that the lip balm contains ingredients like Beeswax, cocoa butter, phenol which provide moisture and coconut oil, jojoba oil and hemp oil which help in allowing dried areas to absorb oil and treat dryness beneath the surface. 5. Cheek stain – Skin looking parched and dull. Skip the powder blush and swap with your tinted lip balm. 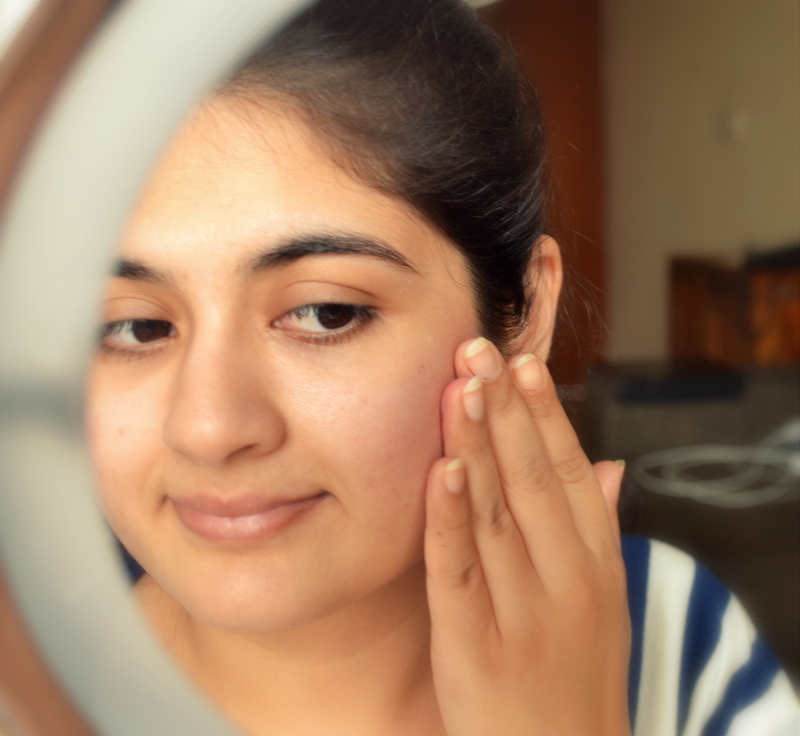 Use fingers to lightly pat the balm along the cheekbones, focusing on the apples of your cheeks. This will look natural, dewy and as though the color is literally coming out from the cheeks. 6.) 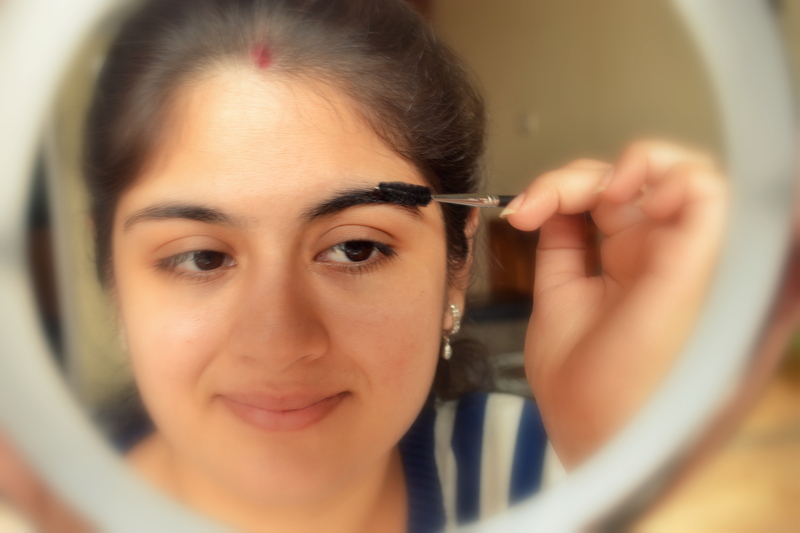 Taming the eye brows – Just run out of brow gel? Or don’t have one but brows tend to be on the unruly side? Apply some balm around a mascara spoolie (use fingers in case you don’t have a spoolie) and run through the brows. This will look more natural without the hairs looking too stiff and crunchy.